I am a 41yr old regular guy who enjoys everything femme, being femme and femme company. I am an honest sincere,openminded and very discreet person. I have been dressing since i was 12yrs old and I am a fem size 12.I enjoy making new friends,dressing, makeup,shopping and clubbing.I am outgoing and always reliable.I love making new friends and look forward to hearing from anyone who is genuine..No timewasters please. 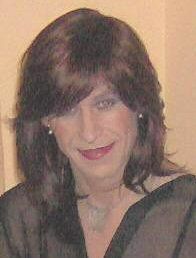 Being a tgirl its difficult to meet with a genuine woman.I would like to meet a woman who is openminded to accept me for who I am and what I enjoy doing. I would like them to be sincere and discreet as well as being honest. I would love to get advice and help on all aspects of being femme. tvger hasn't asked any friends to write a recommendation yet.